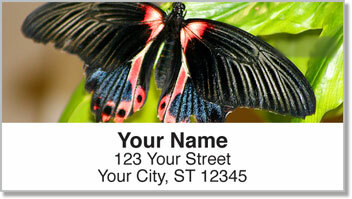 Put the natural beauty of the butterfly on all your outgoing mail. But don't forget about its often overlooked cousins. Moths don't have the same reputation as elegant butterflies. But they share the same inspiring story of transformation. 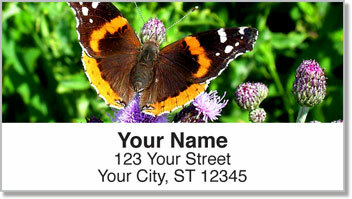 This set of return address labels will remind you that change can be a wonderful thing. So don't fight it. Embrace it! 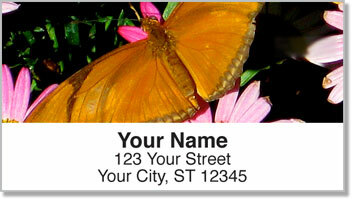 Butterfly & Moth Address Labels from CheckAdvantage feature four stunning photos of colorful winged creatures. They'll add an organic elegance to every letter and package you send. Plus, the convenient self-adhesive backing lets you save tons of time! 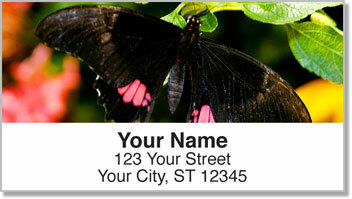 Make Butterfly & Moth Address Labels yours today! Don't forget to add matching personal checks as well!